When you’re a bride-to-be, that means you found The One, right? What about the dress? 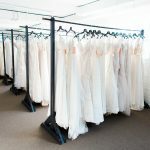 Wedding gown shopping can seem like a daunting task to some brides. If you’re a bride with a longer timeline and lots of patience, that’s great! If you’re a bride that would love the instant gratification of finding the gown, and taking it home that day… we met your match. Who is The Dress Rack? 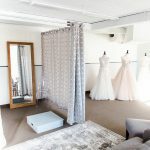 The sister store of Medina’s well-known The Dress, The Dress Rack was born in January and has partnered with several bridal dress boutiques to provide designer bridal gowns that a bride can carry out of the store same day for a smaller price. All of the gowns are brand new, tags on, unaltered and ready for you to come play dress up in. 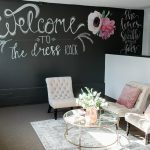 Julia, The Dress Rack’s Lead Consultant, was kind enough to meet last week and talk about how The Rack is a different kind of bridal shop experience. 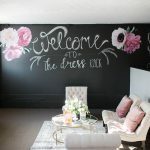 The Dress is widely known for giving brides-to-be a five star experience when shopping for their designer gowns, and The Rack is no exception. When you visit The Rack, you will have a dedicated and knowledgable consultant, and the opportunity to sort through the racks of beautiful gowns available at their leisure. Julia advises to come in with an open mind. 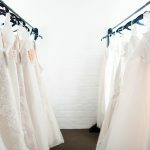 She says many brides come in just to look, but wind up leaving the store with a gown they didn’t expect to fall in love with. Since all of the dresses are sold off the rack and are not guaranteed to be there the next day, its never too early to look. To complete your wedding day look, of course there are lots of accessories to try on with your gown. Necklaces, earrings, bracelets, belts, hairpieces, and veils. Even if you’ve already bought your gown elsewhere, Julia says she can still set you up with an appointment to try your gown on in the store to pair it with jewelry and other accessories so you know everything will look perfect together. Inventory is constantly changing with new dresses coming in frequently. Brides typically come in with a budget of about $1000. You will find most dresses ranging from $650-1600, give or take. And although The Rack only carries bridal gowns, if you purchase the gown of your dreams, a 10% off all bridesmaid dresses discount is available for you at The Dress! To be able to provide the best possible service, Julia strongly recommends making an appointment before stopping in to look. 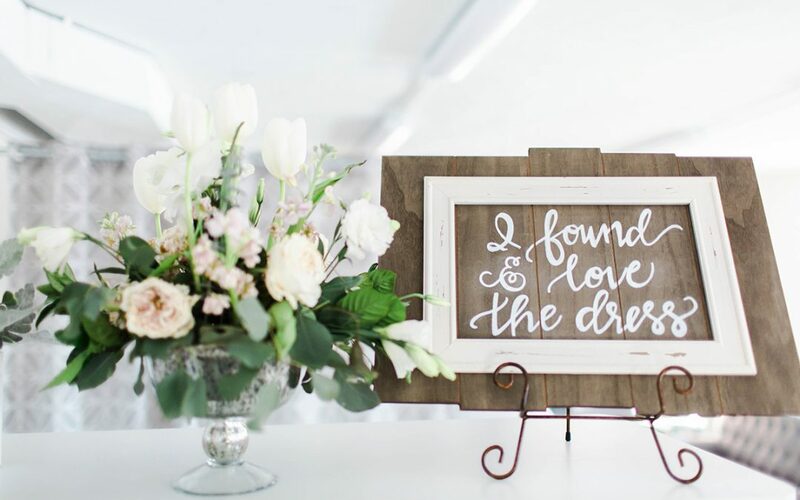 We believe wedding planning should be fun rather than overwhelming, so we’re inviting our favorite wedding partners to help you through the process! 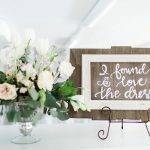 This post is part of a series highlighting wedding vendor, and you can find more wedding vendor highlights HERE!